Anyone who is trying to sell a product knows the important role product packaging can play in helping to close a sale. 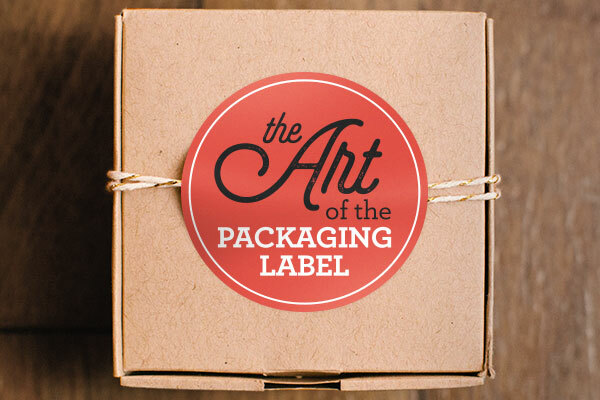 In addition to actually containing your products, great packaging will attract customers and create a connection with your target audience, displaying all the pertinent information in a visually appealing way. You put a lot of time and effort into the product itself, and then the product packaging, so why drop the ball on the shipping package? Much like your product, the shipping packaging has a crucial twofold role. First, it provides protection for your product while it is in transit. Second, it provides the specific information for proper, timely delivery. But does the functionality of your shipping package end there? Absolutely not. Start thinking outside the box- pun intended. We understand that you require a strong shipping container, such as a corrugated box for delivering your products. However, the opportunities to connect with your customer and to brand your business should not be limited by the practicality of a sturdy shipping box. That blank box is yet another way to present your brand to the world. The shipping package can communicate to the world what your company is about and to add value to your product before the customer even opens the box it was shipped in. Careful design of the shipping package can even illicit an emotional response from your customers before they open the product. This helps to build connections with your customers and may help promote brand loyalty. 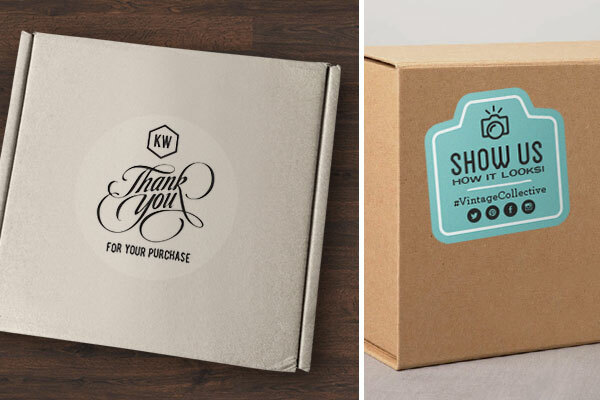 A good shipping package design will act as a direct reflection of your company and show your attention to detail. Purchasing custom shipping boxes can be costly- especially if you require multiple sized boxes for various products. While custom branded shipping boxes are common with larger e-commerce companies like Amazon, the price can often outweigh the many benefits for smaller companies. We have a solution! Keep your existing shipping boxes and just upgrade their look with customized labels. Use custom logo stickers to create your own logo and to use on shipping packages. This will at least get your branding in front of your customers again and gain you more impressions on the way to your customer. Add a sticker of your company's slogan, or mix it up and add a different custom label to each box. Add your company's hashtag or social handles and encourage your customer's to follow you or share their new purchase online and tag your company. This will help grow your online community and customer base. If nothing else, a custom label on a shipping package provides one last opportunity to genuinely thank your customer's for their purchase. With label rolls, you can upgrade the practicality and appearance of your shipping packages. It's a small cost and a small change which could have a big response. You sell a great product that people actually want to purchase. Enhance the experience of receiving their order and keep your customers coming back.